Kissing Crane 2018 Christmas Trapper Pocket Knife - Stainless Steel Blades, Bone Handle, Nickel Silver Bolsters, Brass Liners | BUDK.com - Knives & Swords At The Lowest Prices! 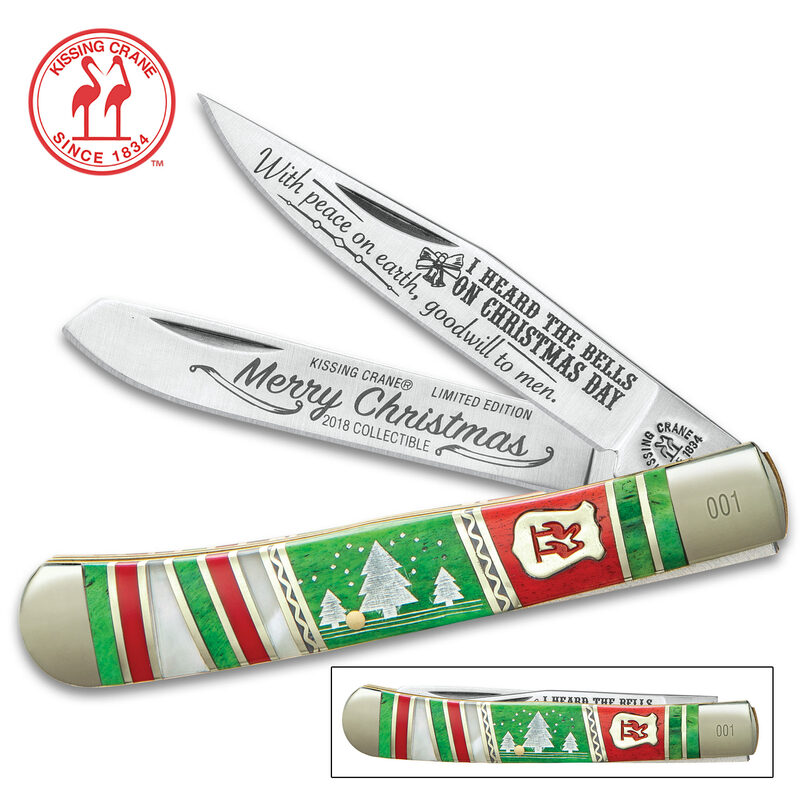 Celebrate Christmas with the Kissing Crane 2018 Christmas Trapper Pocket Knife. 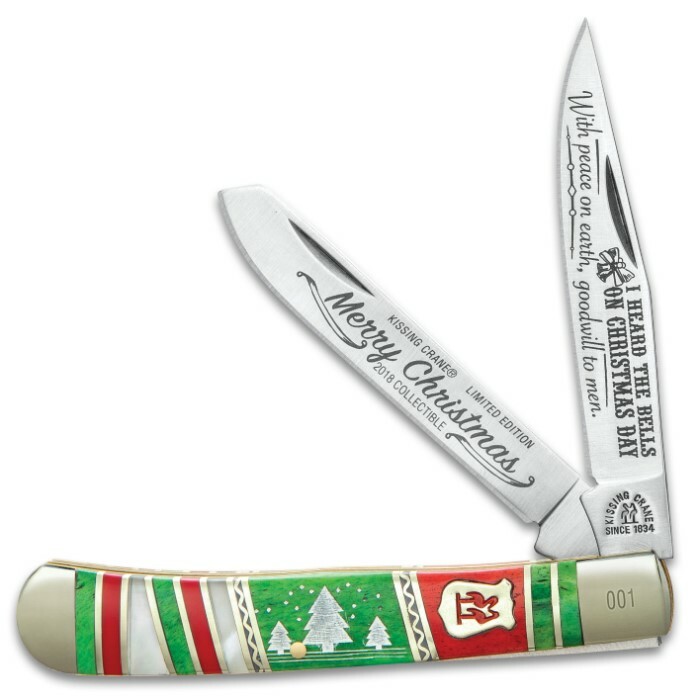 This limited edition pocket knife has razor-sharp stainless steel blades featuring the message, “Merry Christmas” and “I heard the bells on Christmas Day”. 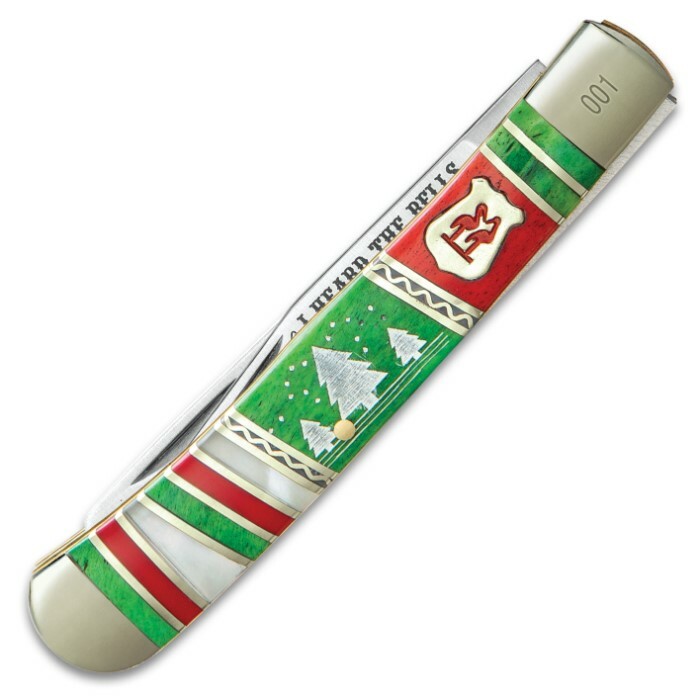 The handsome genuine bone handle is done in green and red with pearl and brass accents and an etched Christmas tree scene, in white. Brass-plated pins, bolsters and the classic Kissing Crane cast shield complete this exquisite design. Each one is laser serialized on the bolster. I got this for my husband for Christmas. The shipping was extra fast and he just loved it! I had a little engraving added to it which made it more personal. Very beautiful knife.